The business community once questioned whether it could afford to prioritize social impact. Today, the consensus is clear—how can it afford not to? As the Millennial and Gen Z generations continue to push the business sector towards solving social and environmental challenges, companies are directing their attention not only to the bottom line, but how they can use their profits and business models to address social impact and have a positive contribution to society. At this event, attendees have the opportunity to explore ways in which businesses and organizations are using capital to generate business solutions to global, systemic challenges. 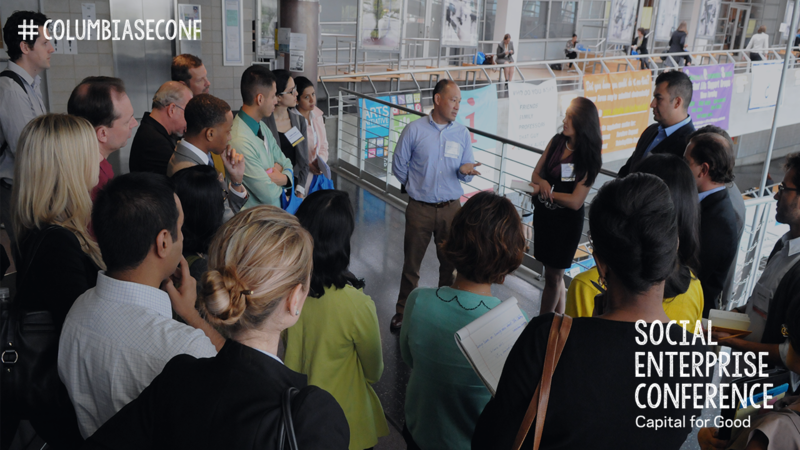 Attendees will learn from thought leaders about innovative ideas, best practices, and leading examples surrounding the intersection of business and society, opening up a dialogue to explore innovative and sustainable business models that they can apply in their future careers of impact. This will embolden a generation to take risks in order to create a world in which everyone, regardless of where they were born, has the equal opportunity to succeed in creating a better life for themselves, their families, and their communities. Join us on November 30, 2018 as we bring together industry leaders, professionals, academics, students, and alumni to share best practices and engender new ideas surrounding the intersection of business and society.